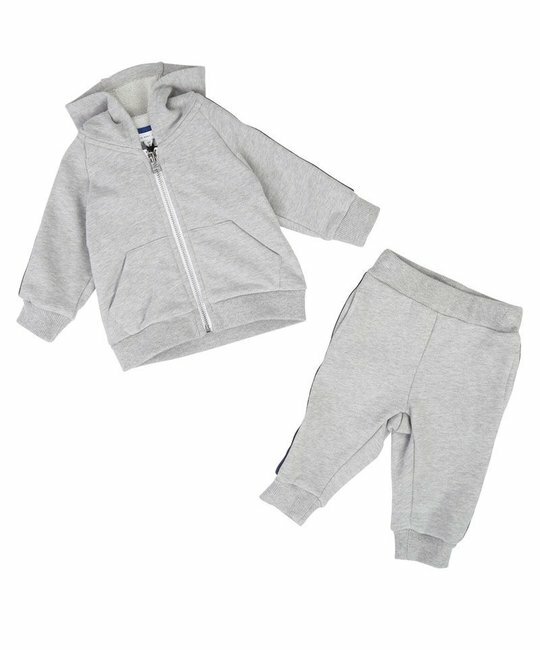 Little Marc Jacons soft grey two piece jogging suit with branded detailing. 80% Cotton, 20% Polyester. Imported.